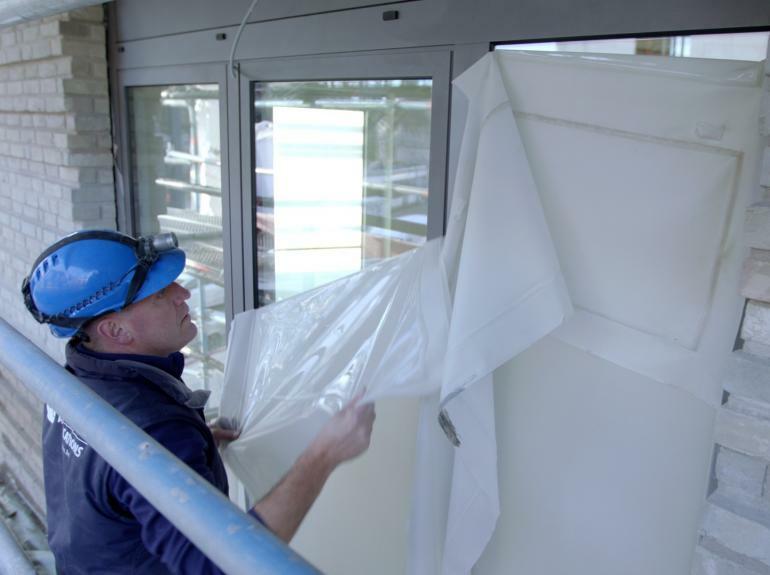 Omniguard is a sprayable coating that dries to durable, elastic temporary protective film. 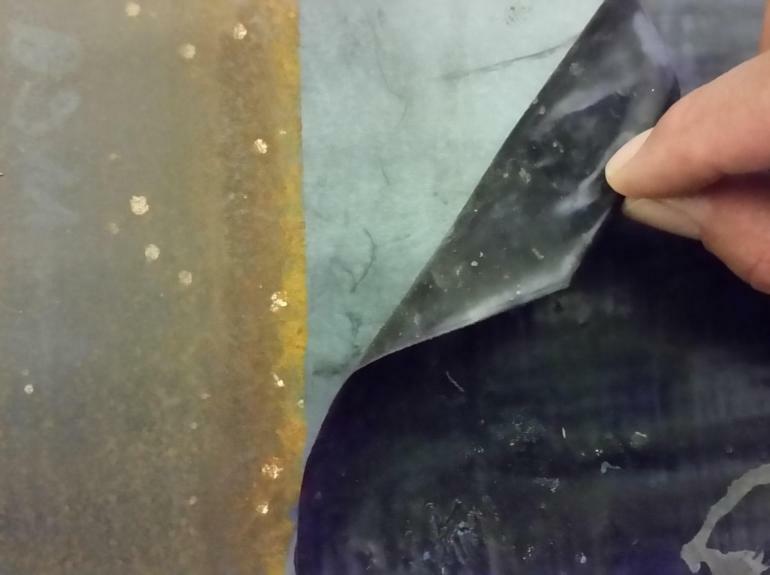 When the protection is no longer needed, this protective film can easily be removed in one go like a plastic film. 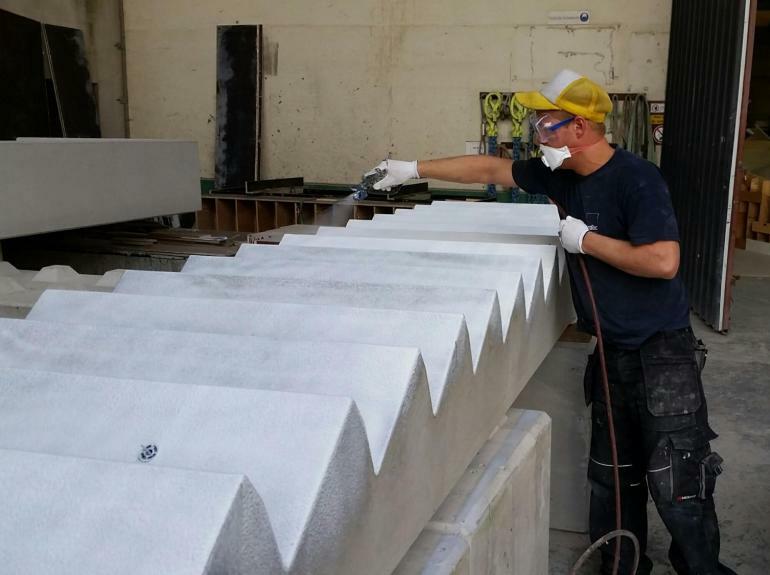 Omniguard is applied with a brush, a roller or an airless paintspray machine. 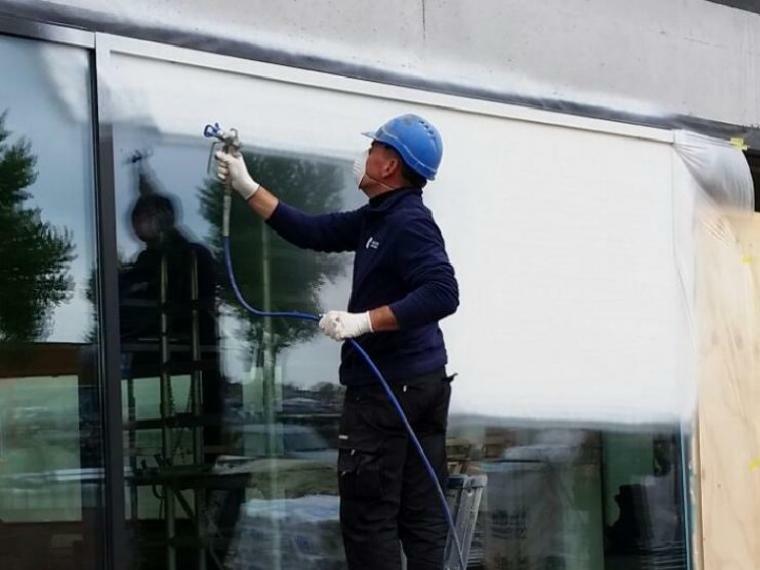 The Omniguard film protects precious surfaces, such as glass and concrete, against damages and filthiness during the total construction phase. 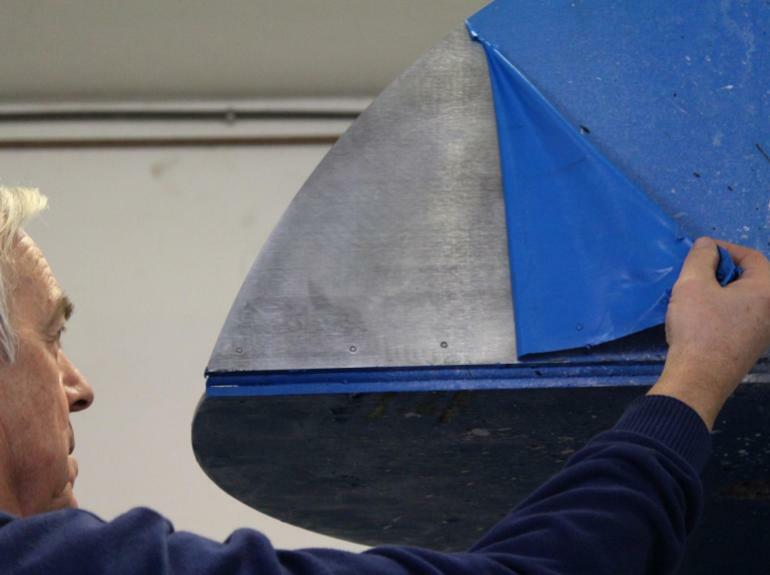 Omniguard also has various applications in industrial factories. With the protective layer, the windows are protected against damages and filthiness, like grinding sparks, cement chunks or scratches. When the protection is no longer needed, it can easily be removed in one go like a normal plastic foil. The windows remain brand new throughout the whole construction phase. For floors, a protection is vital against damages and filthiness that can potentially occur during the construction activities. 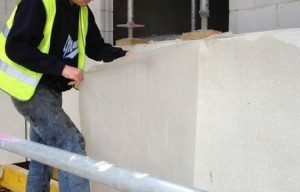 Omniguard protects the floor against things like cement chunks and debris, and when the construction is finished the layer can be easily removed like a normal plastic foil. Omniguard products are certified by independent labs. Ultimate Coatings also has more than 10 years of experience on European project sites.